How would you like to join us at Getting to Grips with the Night Sky: Introduction to astronomy? 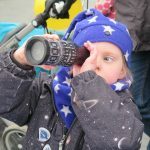 A talk on the night sky, how to get more involved in stargazing and ideas for enjoying astronomy. All are welcome from beginners upwards. It is intended to show you the simple science of the night skies above your head and how that knowledge can help you observe.